What are Twitter Chats anyway? 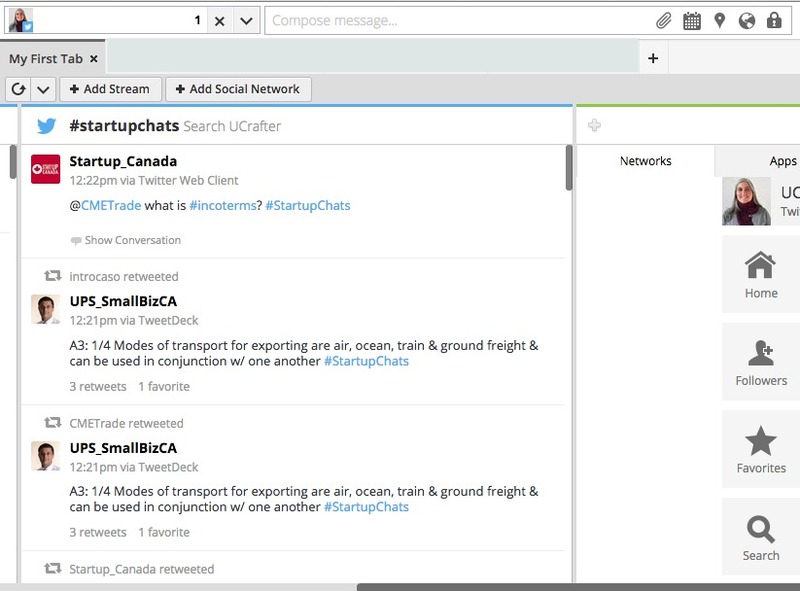 Twitter Chats are live, moderated conversations on Twitter. Popular Twitter Chats happen on a weekly basis and use a unique hashtag. While you can follow along on Twitter (via app or desktop version), you may get overwhelmed by the volume of Tweets in the chat, or miss others that get lost in your stream. 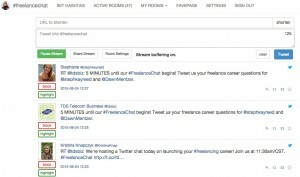 Most Twitter Chat moderators recommend using another tool, such as Hootsuite, TweetChat, or Twubs, to connect to your Twitter account while you are participating in a Twitter Chat. These tools help focus your Twitter stream on the chat conversation and allow you to respond and share feedback quickly. Hootsuite is a social media management tool that you can use to schedule social media posts and to track your accounts on several social platforms. Free and premium accounts are available. 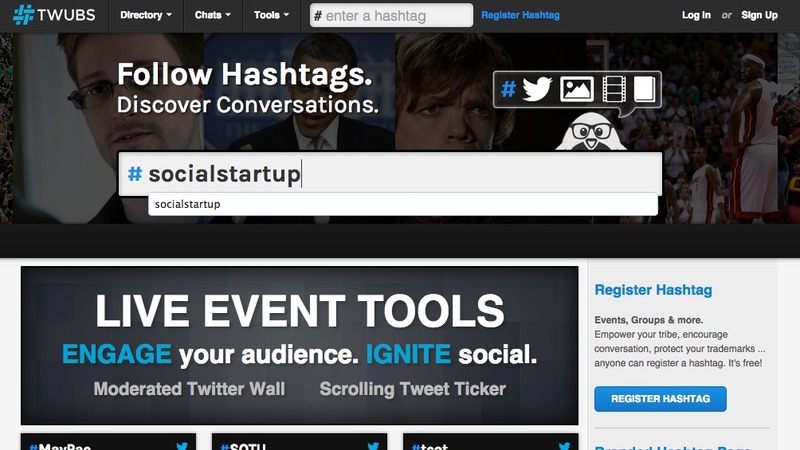 You can easily participate in Twitter Chats via Hootsuite, too. 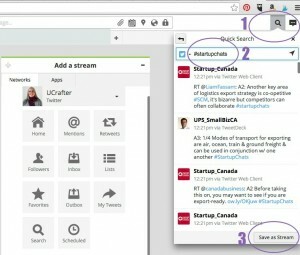 From your Hootsuite dashboard, click the search icon (1), type in the hashtag used in the Chat (2), and then save the search as a stream (3). You can then participate in the chat by typing in new Tweets and watching the rest of the conversation in the stream you added. 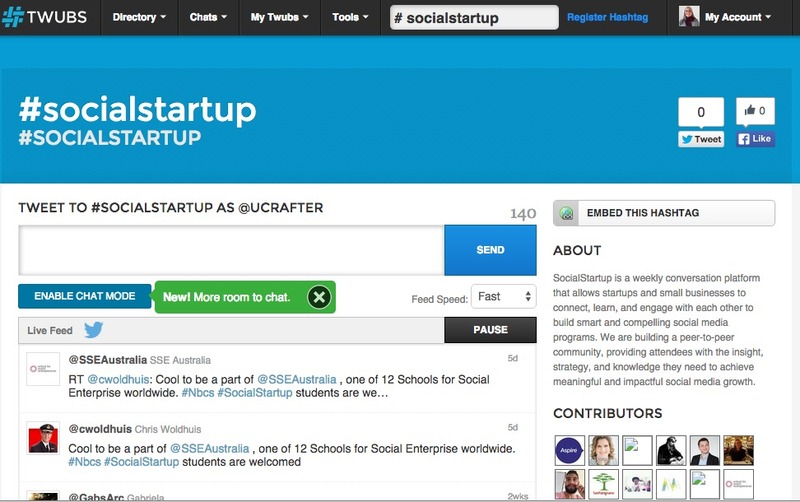 If you already use Hootsuite, this may be the simplest option. 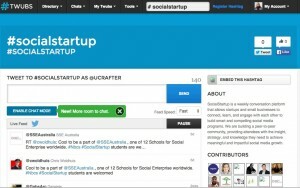 Following a Twitter Chat on Hootsuite. 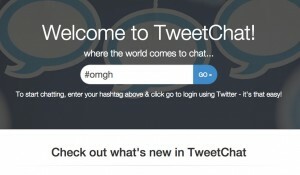 TweetChat allows you to participate in Twitter Chats by linking to your Twitter account. To get started, enter the hashtag for the chat and then link to your Twitter account. 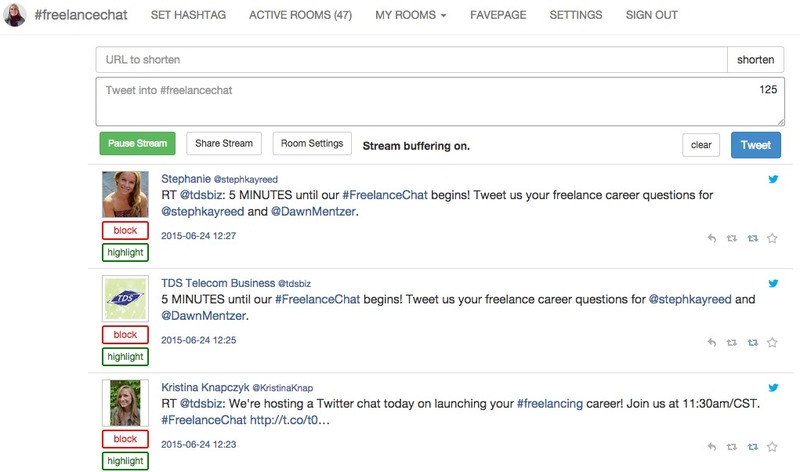 Once you log into TweetChat, the hashtag is automatically filled in as you post, and you can view the Twitter Chat stream. 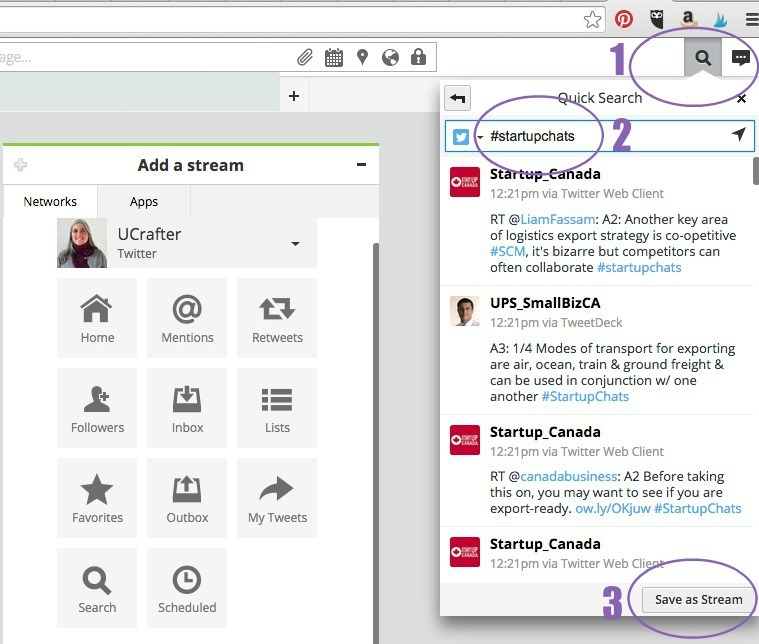 You can also check for other Twitter Chats happening at the same time, and switch over. 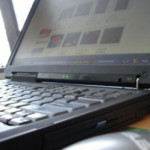 Following a Twitter Chat on TweetChat. 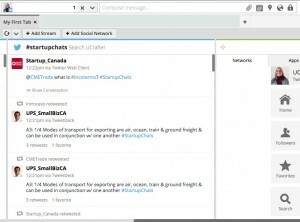 Twubs is another Twitter Chat tool. You can sign in directly, or search for a hashtag and then login through your Twitter account. Twubs users prefer its attractive interface, which includes information about the Twitter Chat (if the host has provided it), along with thumbnails of participants. 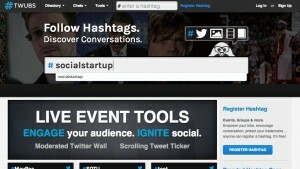 Like TwitterChat, it automatically adds the chat hashtag to your posts. Following a Twitter Chat on Twubs. All three options are free to try, so why not give each one a test drive until you find the right Twitter Chat tool for you and your business? There are many weekly Twitter Chats that might be of interest to creative business owners. Here are three to get you started. 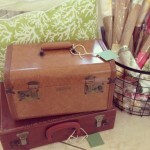 #OMHG, hosted by @ohmyhandmade – This chat for makers and creative entrepreneurs meets Thursdays from 1-2 p.m. Eastern. They recommend participating via their Twubs chat room. #PinChat, hosted by @Tribe2point0 – This chat is all about Pinterest and meets Wednesdays starting at 9 p.m. Eastern. #smallbizchat, hosted by @SmallBizLady – This chat for small business owners meets Wednesdays starting at 8 p.m. Eastern. It’s alright to sit back at first, but to get the most out of a Twitter Chat, be sure to share your own questions and comments. If you find that you enjoy participating in Twitter Chats, here are some great places to search for more! XOMISSE Twitter Chat Calendar for Bloggers, Designers, and Creatives. Don’t forget to follow up afterwards by connecting with other participants! 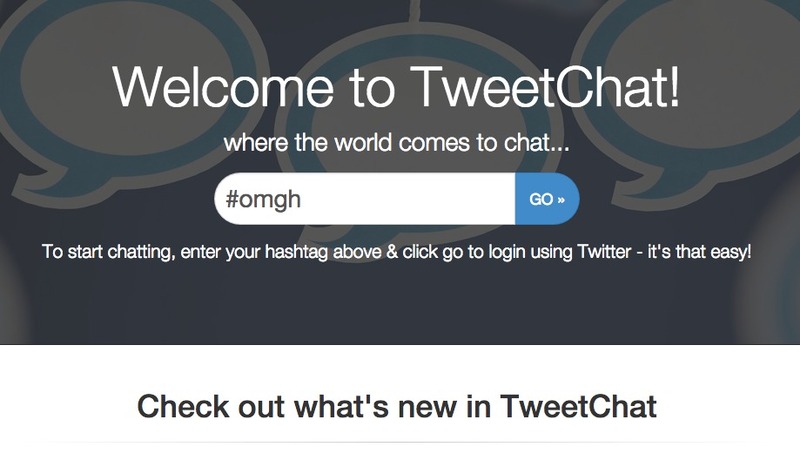 What’s your favorite Twitter Chat, or Twitter Chat tip? Share in the comments or tell @cyeshow & @creative_income on Twitter! 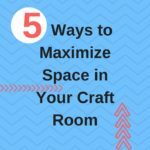 Marie Segares is a regular contributor to Creative Income, a crochet and knitting blogger, designer, teacher at Underground Crafter and host of the Creative Yarn Entrepreneur Show.